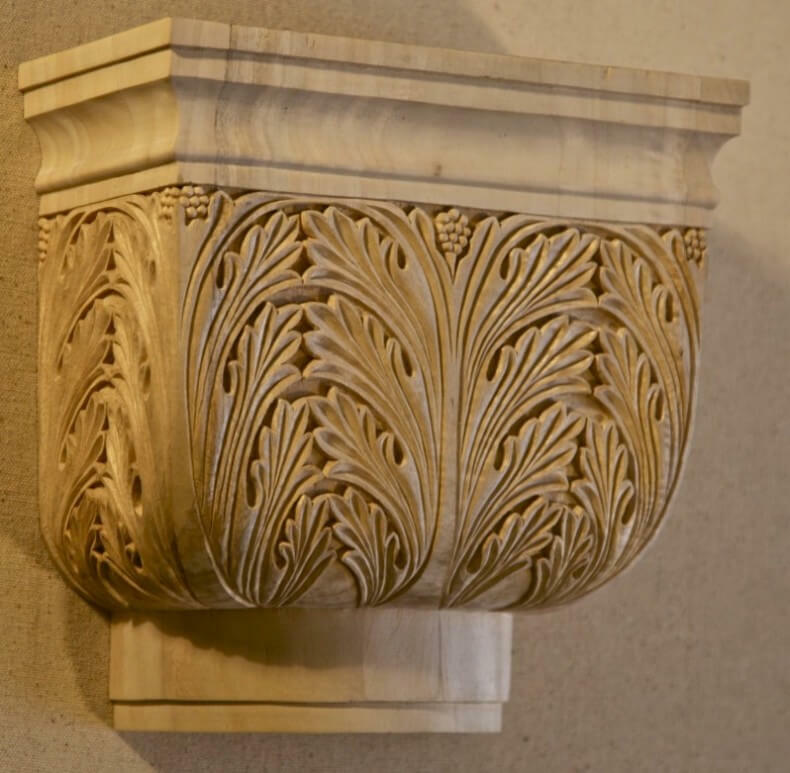 The ornamentation style known as Byzantine gets its name from the ancient city of Byzantium, which was the capital of the East Roman Empire. The city, later known as Constantinople and finally Istanbul, broke away from Rome in 330 CE with the Eastern Christian Church and developed a hight symbolic art form. Because of the city’s location, its art was dramatically influenced by Greek, Italian and Persian styles. The craftsmanship was often rudimentary, but the conception and imagery impressive. Byzantine woodwork is typically covered with flora and fauna and human faces over the complete surface, leaving little space. Though few Byzantine woodcarvings still exists, the main doors of the Basilica of Saint Sabina in Rome remain wonderful examples. The 18 wooden panels are believed to date from 430 CE and are carved with biblical scenes in a simple classical style. Although the Byzantine style expanded to Russia, Asia, and the Balkans, wars and the banning of image worship eventually drove many artists to Italy, and in particular, Venice. 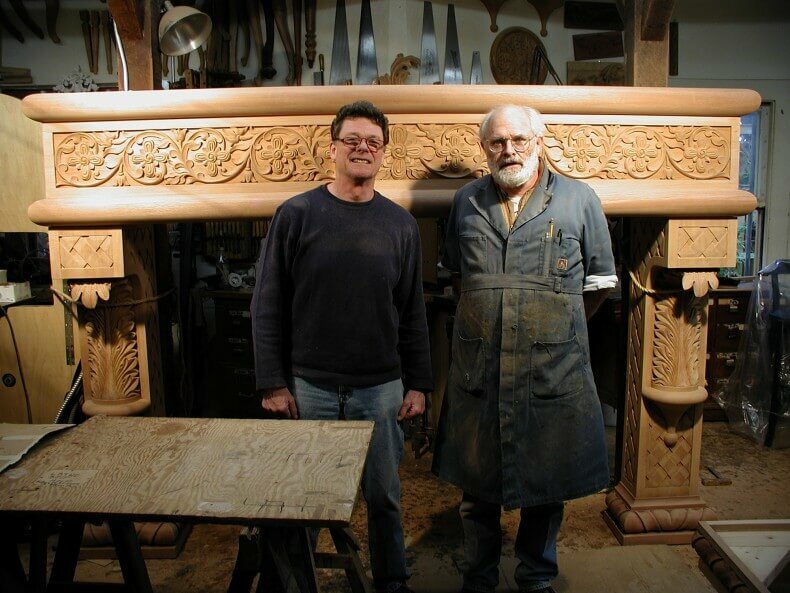 It was because of these Venetian immigrants that woodcarving really developed, culminating years later, during the Romanesque and Renaissance periods, in some of the most exquisite woodcarving ever produced. 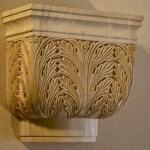 Byzantine-style capital hand-carved in wood by Agrell Architectural Carving. 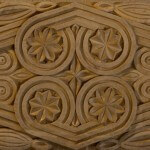 Byzantine-style panel hand-carved in wood by Agrell Architectural Carving. 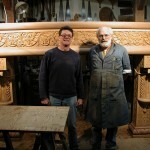 Byzantine-style wood fire surround hand-carved by Agrell Architectural Carving.